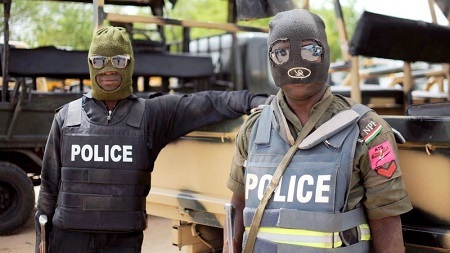 Nigerians on social media are calling on Police authorities to scrap the Special Anti-Robbery Squad, popularly known by the acronym SARS. The call follows several incidents of brutality, abuse and harassment reported against men of the police department. The move by the PCRRU may be connected to the public outcry that has trailed the activities of many SARS officials in recent times. Late in October 2017, a 2015 graduate of Kwara State Polytechnic, Ekwere Imoh, was shot by policemen attached to SARS, Oyo State Police Command. The policemen also shot a female friend of his, identified simply as Doris, who was with him. There were no concrete reasons for shooting the duo as they were neither criminals nor under arrest. Earlier in the same month, a lady, Kachi Anifela Zion, accused officers of SARS in Ilorin of sexual molestation. She said a male SARS official under the pretence of searching her, dipped his hand in her underwear. She further revealed that the SARS official threatened to beat her if she shouted, adding that the officer continued to fondle, rough handle and humiliate her for several minutes. The SARS official implicated in the matter was later arrested. A video also emerged online in November, where a gun-wielding SARS operative threatened to shoot two people at Akute area of Ogun State.